It is strange. I've always wondered why the deepest of all emotions bring tears. Why is that I always begin to choke whenever I get moved by anything magically profound or innocently simple? An enchanting musical composition, a poignant moment in a novel, a captivating sequence in a movie, a dramatic catharsis in a play always moves me beyond words. Sometimes a simple human gesture evokes the same. And, during the meditative silence before any of the beloved Gods and the intimate Gurus. The deep-seated longing in every soul to be in constant communion with the eternal gets expressed in the tear. Or in the mirthful laughter. Both evoke the same resonance at the core of one's being. 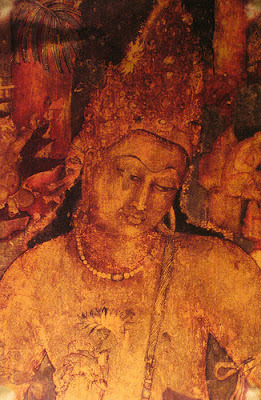 Avalokiteshvara is one of the most pivotal Bodhisatvas in Mahayana form of Buddhism. He is the Maha Guru, the Enlightened Soul of Boundless Compassion. 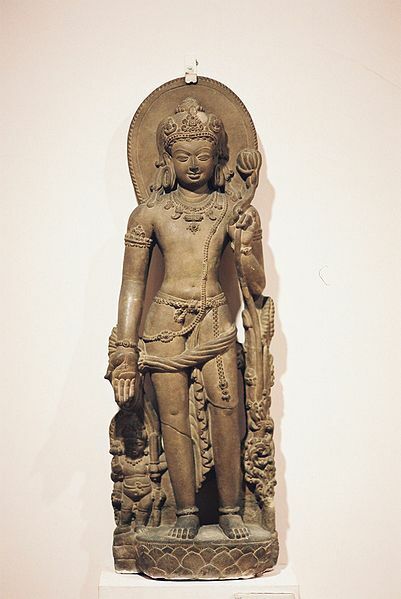 Also called as Padmapani in Sanskrit, Avalokiteshvara is the embodiment of infinite compassion, always hearing every cry of every being in the universe and appear anywhere to salvage them from all forms of distress. Chanting the Mantra of Ohm Mani Padme Hum, holding a lotus flower in the Hand, with the Moon of total purity behind, Avalokiteshvara liberates all beings from suffering in this world and enriches the love and compassion of all beings for life and living. Blessed are the ones who have searched and found out such Gurus to protect the cherished soul..